Introducing a new display vintage font with tons of cool characters, symbols, and OpenType Features. 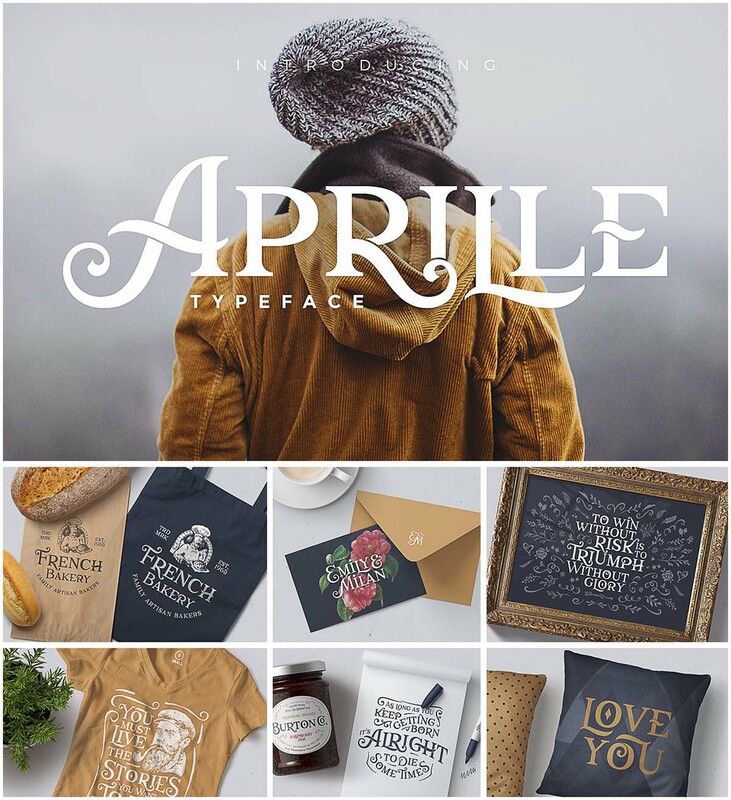 Aprille Typeface is perfect for quotes, logos, apparel, advertising, wedding invitations and packaging design. Tags: Antique, calligraphy, craft, sans, typeface, typography.